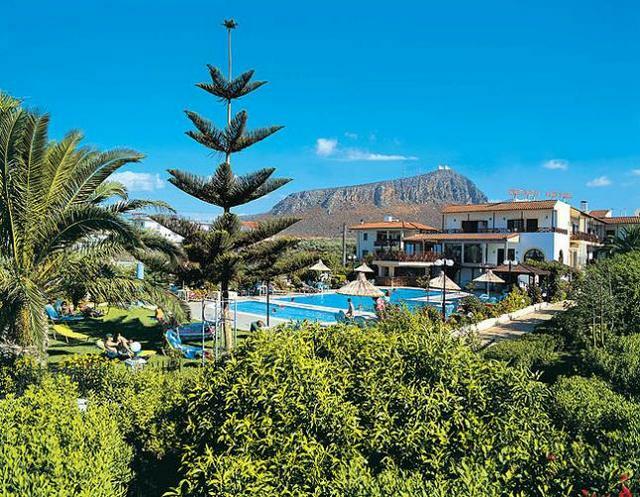 The hotel has mature well-kept gardens with the Dikti Mountains as a backdrop. Facilities available to guests include a lobby area with a reception, a TV corner, a kids’ club, a playground, a games room, a currency exchange facility, a café, 2 restaurants and internet access (certain activities may be payable locally). The hotel operates a shuttle to the beach during the day. The hotel is located some 600 metres from Gouves sandy beach. Gouves is a smaller and quieter resort, with a pretty old town and a sandy beach. This establishment lies at a distance of about 3 km from the centre of Gouves village, and is built in a traditional rustic style. All rooms come with an en suite bathroom with a shower, individually adjustable air conditioning, (certain amenities may be payable locally). The rooms all feature either a balcony or a terrace.